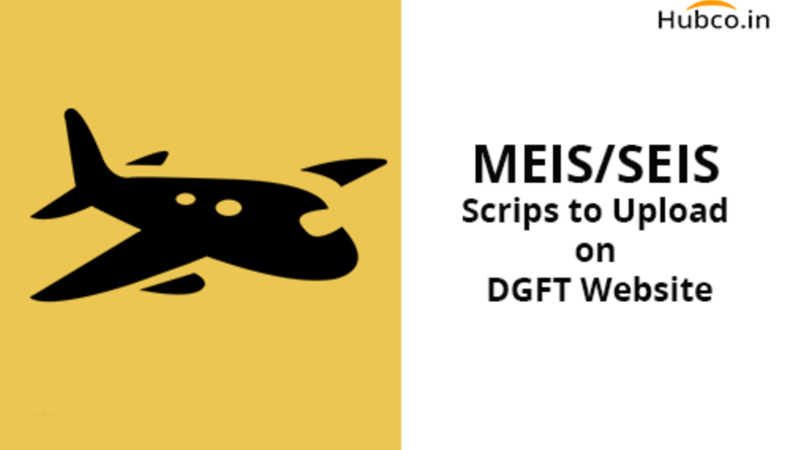 The Director General of Foreign Trade (DGFT) issued a circular on 11th January, 2019 which shed light on mandatory recording of information on DGFT website (www.dgft.gov.in) about transfer of MEIS/SEIS Scrips issued on or after 14th January, 2019 for EDI ports only. This initiative has been taken in order to improve the way of doing business by abolishing issue of MEIS/ SEIS scrips in physical form. For this purpose a facility has been created on DGFT website to record the information about the transfer of scrip. Now in order to discontinue physical issue of scrip, each transfer of scrip needs to be mandatorily recorded on DGFT website. Further, Custom authorities will check the ownership information of the scrip, before the owner is allowed to use the scrip for payment of duty. The terms and conditions between the buyer and seller will not be effected by such change and MEIS/SEIS scrip owner will continue to transfer the scrip to another IEC firm/company as was being done by them earlier. However, the current owner (transferor) shall record the information about the new owner (transferee) on DGFT website before the new owner can utilize the scrip. That means the information regarding the transfer needs to be mandatorily recorded by the transferor so that transferee can use the scrip and can record any further transfer made by him. It is very much important on transferee’s part to ensure that the scrip is recorded in his favour by the old owner because without this transferee will not be able to utilise the scrip for duty payment. And DGFT/Customs shall not be responsible for any kind of dispute arises in this regard. Simultaneous transfer of scrip to more than one firm will not be allowed. Till the time it is not decided to discontinue the issue of scrip in physical form the Regional Authorities will continue to issue the MEIS/SEIS scrips on security paper for use by the exporters.